Carlson SJ, Ramsey C. (2000): Assistive Technology. In Campbell S (ed): Physical Therapy for Children 2nd ed., Phil. WB Saunders. Cook AM, Hussey SM. (2002): Assistive Technologies: Principles and Practice. 2nd ed. St. Louis. Mosby, Inc.
De Rutyer O. (2002): Clinician’s Guide to Assistive Technology. St. Louis. Mosby, Inc.
Ostensjo S, Carlberg EB, Vollestad NK. (2005): The use and impact of assistive devices and other environmental modifications on everyday activities and care in young children with cerebral palsy. Disabil. Rehabil. 27 (14): 849-861. Stavness C. (2006): the effect of positioning for children with cerebral palsy on upper-extremity function: a review of the evidence. Phys. Occup. Ther. Pediatr. 26(3): 39-53. Hulme JB, Shaver J, Archer S, Eggert C. (1987): Effect of adaptive seating on the easting and drinking of children with multiple handicaps. Am. J. Occup. Ther. 41(2): 81-9. Korpela R, Seppanen RL, Koivikko M. (1992): Technical aids for daily activities: a regional survey of 204 disabled children. Dev. Med. Child Neurol. 34(11): 985-998. Greiner BM, Czerniecki JB, Dietz JC. (1993): Gait parameters of children with spastic diplegia: A comparison of effects of posterior and anterior walkers. Arch. Physical Med. Rehabil. 74, 381. Howell-Garvey V, Tylkowski CM, Kates D, Miller GJ. (1987): The influence of walkers on the gait of children with cerebral palsy. Paper presented at AACPDM, Boston. Levangie P, Chimera M, Johnston M, et al. (1989): Effects of posture control walker verses standard rolling walker on gait characteristics of children with spastic cerebral palsy. Phy. Occpt. Ther. Ped. 9(4): 1-8. Levangie PK, Guihan MF, Meyer P, Stuhr K. (1989): Effect of altering handle position of a rolling walker on gait in children with cerebral palsy. Phys. Ther. 69(2): 130-134. Logan L, Byers-Hinkley K, Ciccone C. (1990): Anterior vs. posterior walkers for children with cerebral palsy: A gait analysis study. Dev. Med. Child Neurol. 32(12): 1044-1048. Low S. (2008): Use of support walkers by pediatric physical therapists: A nationwide survey. Abstract. Ped. Phys. Therapy 20 (1): 96. Mattsson E, Andersson C. (1997): Oxygen cost, walking speed, and perceived exertion in children with cerebral palsy when walking with anterior and posterior walkers. Dev. Med. Child Neurol. 39(10): 671-676. Olnay SJ, Wright MF. (2000): Cerebral Palsy. In Campbell SK (ed): Physical Therapy for Children 2nd ed. Phil. WB. Saunders. Park ES, Park CI, Kim JY. (2001): Comparison of anterior and posterior walkers with respect to gait parameters and energy expenditure of children with spastic diplegic cerebral palsy. Yonsi Med. Journal. 42(2): 180-184. Rowley-Kelly FL, Reigel DH. (1992): Teaching the Student with Spina Bifida. Baltimore, MD. Paul Brooks Pub. Blundell SW, Shepherd RB, Dean CM et. al. (2003): Functional strength training in cerebral palsy: a pilot study of a group circuit training class for children aged 4-8 years. Clin. Rehabil. 17 (1): 48-57. Damiano DL, Abel MF. (1998): Functional outcomes of strength training in spastic cerebral palsy. Arch. Phys. Med. Rehabil. 79: 119-125. Damiano DL, Vaughan CL, Abel MF. (1995): Muscle response to heavy resistance exercise in children with spastic cerebral palsy. Dev. Med. Child Neurol. 37: 731-739. Darrah J, Fan JS, Chen LC Et al. (1997): Review of the effects of progressive resisted muscle strengthening in children with cerebral palsy: A clinical consensus exercise. Pediatr. Phys. Ther. 9: 12-17. Darrah J, Wessel J, Nearingburg P, et al. (1999): Evaluation of a community fitness program for adolescents with cerebral palsy. Pediatr. Phys. Ther. 11: 18-23. Dodd KJ, Taylor NF, Graham HK. (2003): A randomized clinical trial of strength training in young people with cerebral palsy. Dev Med Child Neurol. 45(10):652-7. Eagleton M, Kams A, McDowell J, Morrison R, Evans C. (2004): The effects of strength training on gait in adolescents with cerebral palsy. Pediatr. Phys. Ther. 16(1): 22-30. Fernhall B. (1993): Physical fitness and exercise training of individuals with mental redardation. Med. Sci. Sports Exerc. 25: 4442-4450. Liao HF, Liu YC, Liu WY, Lin YT. (2007): Effectiveness of loaded sit-to-stand resistance exercise for children with mild spastic diplegia: a randomized clinical trial. Arch. Phys, Med. Rehabil. 88 (1): 25-31. Stout JL. Physical Fitness During Childhood and Adolescence. In Campbell SK. (ed): Physical therapy for Children 2nd ed. Phil PA. WB. Saunders Co.
Bruini M. (1998): Fine Motor Skills in Children with Down Syndrome. A Guide for Parents and Professionals. Bethesda, MD. Woodbine House. Coling MC, Barrett JN. (1995): Activity-Based Intervention Guide With More Than 250 Multisensory Play Ideas. San Antonio, TX. Therapy Skill Builders. Dudran G, Klenke-Orminston S. (1994): Multi-Play: Sensory Activities for School Readiness. San Antonio, TX. Therapy Skill Builders. Erhardt R. (1994): Developmental Hand Dysfunction. Therapy. Assessment. Treatment. 2nd ed. San Antonio, TX. Therapy Skill Builders. Haack HM. (1995): Making It Easy: Sensorimotor Activities at Home and School. San Antonio, TX. Therapy Skill Builders. Lear R. (1993): Play Helps: Toys and Activities for Children with Special Needs. Stoneham, MA. Butterworth-Heineman. Noronha J, Bundy A, Groll J. (1989): The effect of positioning on the hand function of boys with cerebral palsy. Am J Occup Ther. 43(8):507-12. Nwoabi OM. (1987): Seating orientations and upper extremity function in children with cerebral palsy. Physical Therapy. 67 (8): 1209-1212. Reid D. (1996): The effect of the straddle seat on seated postural control and upper extremity movement in children with CP. Dev. Med. Child Neurol. 38 (9): 805. Widerstrom AH. (1995): Achieving Learning Goals Through Play. San Antonio, TX. Communication Skill Builders. Davis BE, Moon RY, Sachs HC, Ottolini MC. (1998): Effects of sleep position on infant motor development. Pediatrics. 102(5):1135-40. Dudek-Shriber L, Zelazny S. (2007): the effects of prone positioning on the quality and acquisition of developmental milestones in four-month-old infants. Ped. Phys. Therapy 19 (1): 48-61. Jennings JT, Sarbaugh BG, Payne NS. (2005): Conveying the message about optimal infant positions. Phys Occup Ther Pediatr. 25(3):3-18. Liao PJ, Zawacki L, Campbell SK. (2005): Annotated Bibliography: effects of sleep position and play position on motor development in early infancy. Phys Occup Ther Pediatr. 25(1-2):149-60. Majnemer A, Barr RG. (2005): Influence of supine sleep positioning on early motor milestone acquisition. Dev Med Child Neurol. 47(6):370-6; discussion 364. Begnoche DM, Pitette KH. (2007): Effects of traditional treatment and partial body weight treadmill training on the motor skills of children with spastic cerebral palsy. A pilot study. Pediatr. Phys. Therapy. 19 (1): 11-19. Bodkin AW, Baxter RS, Heriza CB. (2003): Treadmill training for an infant born preterm with a grade III intraventricular hemmorrhage. Pediatr. Ther. 83(12): 1107-1118. Cherng RJ, Liu CF, Lau TW, Hong RB. (2007): Effect of treadmill training with body weight support on gait and gross motor function in children with spastic cerebral palsy. Am. J. Phys. Med. Rehabil. 86 (7): 548-555. Day JA, Fox EJ, Lowe J, Swales HB, Behrman AL. (2004): Locomotor training with partial body weight support on a treadmill in a nonambulatory child with spastic tetraplegic cerebral palsy: a case report. Pediatr. Phys. Ther. 16:106-113. Dodd KJ, Foley S. (2007). Partial body-weight –supported treadmill training can improve walking in children with cerebral palsy: a clinical controlled trial. Dev. Med. Child Neurol. 49 (2): 101-105. Finch L, Barbeau H, Arsenault B. (1991): Influence of body weight support on normal human gait: Development of a gait retraining strategy. Phys. Ther. 71 (11): 842-856. Hesse SA, Bertlt CM, Schaffrin A, et al. (1994): Restoration of gait in nonambulatory hemiparetic patients by treadmill training with partial body-weight support. Arch. Phys. Med. Rehabil. 75(10): 1087-1093. Maltais D, Bar-Or O, Pierrynowski M, Galea V. (2003): Repeated treadmill walks affect physiologic responses in children with cerebral palsy. Medicine and Science in Sports and Exercise. 35 (10): 1653-1661. Mattern-Baxter, K. Effects of Partial Body Weight Supported Treadmill Training on Children with Cerebral Palsy. Pediatric Physical Therapy. 2009;21:12-21. Mattern-Baxter, Katrin; Bellamy, Sandra; Mansoor, Jim K. Effects of Intensive Locomotor Treadmill Training on Young Children with Cerebral Palsy. Pediatric Physical Therapy. 21(4):308-318, Winter 2009. McNevin NH, Coraci L, Schafer J. (2000): Gait in adolescent cerebral palsy: the effect of partial unweighting. Arch. Phys. Med. Rehabil. 81 (4): 525-528. Provost B, Dieruf K, Burtner PA, et. al. (2007): Endurance and gait in children with cerebral palsy after intensive body weight-supported treadmill training. Pediatr Phys. Ther. 19 (1). 2-10. Richards CL, Malouin F, Marcoux S, et al. (1997): Early and intensive treadmill locomotor training for young children with cerebral palsy: A feasibility study. Pediatr. Phys. Ther. 9: 158-165. Schindl MR, Forstner C, Kern H, Hesse S. (2000): Treadmill training with partial body weight support in nonambulatory patients with cerebral palsy. Arch. Phys. Med. Rehabil. 81 (3): 301-306. Ulrich DA, Ulrich DB, Angulo-Kinzler RM, Yun J. (2001): Treadmill training of infants with Down syndrone: evidence-based developmental outcomes. Pediatrics. 108 (5): E84. Visintin M, Barbear H. (1989): The effect of body weight support on the locomotor pattern of spastic paretic patients. Canadian J. Neuro. Sci. 16: 315-325. Alexander M. (1999): Adapted Seating and Assistive Devices. In Molnar G. Alexander M. (eds). Pediatric Rehabilitation. 3rd ed. Phil. PA. Hanley and Belfus. Bergen A, Presperin J, Tallman T. (1990): Positioning for Function. Wheelchairs and Other Assistive Technologies. Valhalla, NY. Valhalla Pub. Carlberg EB, Hadders-Algra M. (2005): Postural dysfunction in children with cerebral palsy: some implications for therapeutic guidance. Neural Plast. 12(2-3):221-8;discussion 263-72. Cristarella M. (1975): Comparison of straddling and sitting apparatus for the spastic cerebral palsy child. American Occupational Therapy Journal, 29 (5):273. Finnie N. (1997): Baby Carriages, Strollers and Chairs. In (author): Handling the Young Cerebral Palsied Child at Home. 3rd ed. Boston, Butterworth & Heinemann. Hadders-Algra M, van der Heide JC, Fock JM, et al. (2007): Effect of seat surface inclination on postural control during reaching in preterm children with cerebral palsy. Phy. Ther. 87 (7): 861-871. Hennington G, Johnson J, Penrose J. et. al. (2004): Effect of bench height on sit-to-stand in children without disabilities and children with cerebral palsy. Arch. Phys. Med. Rehabil. 85 (1): 70-76. Hulme JB, Bain B, Hardin M, McKinnon A, Waldron D. (1989): The influence of adaptive seating devices on vocalizatioin. J. Communication disorders. 22(2):137-145. Leach J. (2000): Orthopedic Conditions. In Campbell SK (ed): Physical Therapy for Children 2nd ed. Phil. W. B. Saunders. McDonald RL, Surtees R. (2007): Longitudinal study evaluating a seating system using sacral pad and kneeblock for children with cerebral palsy. Disabil. Rehabil. 15;29 (13): 1041-1047. Michael SM, Porter D, Pountney TE. (2007): Tilted seat position for non-ambulant individuals with neurological and neuromuscular impairment: a systematic review. Clin. Rehabil. 21 (12): 1063-1074. Miedaner JA. (1990): The efects of sitting positions on trunk extension for children with motor impairments. Pediatric Physical Therapy, 2(1):11-14. Myhr U, von Wendt L. (1993): Influence of different sitting positions and abduction orthoses on leg muscle activity in children with cerebral palsy. Dev. Med. Child Neurol. 35(10):870-880. Myhr U, von Wendt L. (1991): Improvement of functional sitting position for children with cerebral palsy. Dev. Med. Child Neurol. 33(3):246-256. Nwoabi OM, Smith PD. (1986): Effect of adaptive seating on pulmonary function of children with cerebral palsy. Dev. Med. Child Neurol. 28(3):351-354. Reid D. (1996): The effect of the straddle seat on the seated postural control and upper extremity movement in children with CP. Dev. Med. Child Neurol. 38(9) 805. Roxborough L. (1995): Review of the efficacy and effectiveness of adaptive seating for children with cerebral palsy. Assist. Technology. 7(1):17-25. Trefler E, Angelo J. (1997): Comparison of anterior trunk supports for children with cerebral Palsy. Assist. Tech. 9(1):15-21. Trefler E, Hobson DA, Taylor SJ, Monahan LC, Shaw CG. (1993): Seating and Mobility for Persons with Physical Disabilities. Tucson, AZ. Therapy Skill Builders. Hulme JB, Bain B, Hardin M, McKinnon A, Waldron D. (1989): The influence of adaptive seating devices on vocalization. J. Communication Disorders. 22 (2). Nwoabi OM, Smith PD. (1986): Effect of adaptive seating on pulmonary function of children with cerebral palsy. Dev. Med. Child Neurol. 28 (3): 351-354. Redstone F. (2004): The effects of seating position on the respiratory patterns of preschoolers with cerebral palsy. Int. J. Rehabil. Res. 27 (4): 283-288. Redstone F. (2005): Seating position and length of utterance of preschoolers with cerebral palsy. Percept. Mot. Skills 101 (3): 961-962. Schwartz S, Miller JEH. (1996): The New Language of Toys: Teaching Communication Skills to Children with Special Needs. Rockville, MD. Woodbine House. Caulton JM, Ward KA, Alsop CW. et. al. (2004): A randomized controlled trial of standing programme on bone mineral density i8n non-ambulant children with cerebral palsy. Arch. Dis. Child. 89 (2): 131-135. Cohen E. (1978): Prone standing board for use in the classroom. Physical Therapy. 58 (9): 1091. Curtis NL. (1990): The evaluation of weight bearing of children on prone, supine, and upright standers. (abst.) Phys. Occupt. Ther. Ped. 10 (3): 109. Ferdjallah M, Harris GF, Smith P, Wertsch JJ. (2002): Analysis of postural control synergies during quiet standing in healthy children and children with cerebral palsy. Clin. Biomech. 17(3):203-10. Finnie N. (1997): Hammocks, Wedges, and Prone Boards. In (author): Handling the YOung Cerebral Palsied Child at Home. 2nd ed. Boston, Butterworth & Heinemann. Gudjonsdottir B, Mercer VS. (2002): Effects of a dynamic verses static prone stander on bone mineral density and behavior in four children with severe cerebral palsy. Ped. P.T. 14, 38. Howle, JM. (1999): Cerebral Palsy, In Campbell SK (ed): Decision Making in Pediatric Neurologic Physical Therapy. Phil. Churchill Livingstone. Liao HF, Jeng SF, Lai JS, Cheng CK, Hu MH. (1997): The relation between standing balance and walking function in children with spastic diplegic cerebral palsy. Dev Med Child Neurol. 39(2):106-12. Miedaner J. (1990): An evaluation of weight bearing forces at various standing angles for children with cerebral palsy. Pediatric Physical Therapy, 2: 215. Rose J, Wolff DR, Jones VK, Bloch DA, Oehlert JW, Gamble JG. (2002): Postural balance in children with cerebral palsy. Dev Med Child Neurol. 44(1):58-63. Ryan KD, Plaski C, Emans JB. (1991): Myelodysplasia from infancy to adulthood. Physical Therapy, 71 (12): 935. Shepherd R. (1980): Physiotherapy in Pediatrics. 2nd ed. N.Y., Wm. Heineman. Stamer M. (2000): Posture and Movement of the Child with Cerebral Palsy. San Antonio, TX. Therapy Skill Builders. Staudt L, Peacock W. (1989): Selective posterior rhizotomy for treatment of spastic cerebral palsy. Pediatric Physical Therapy, 1 (1): 3-9. Stuberg WA. (1992): Considerations related to weight-bearing programs in children with developmental disabilities. In Rogthsteirn. JM (ed). Pediatric Orthopedics. Alexandria, VA. APTA. Sussman M. (ed). (1992): The Diplegic Child. Rosemont, IL. Academy of Orthopedic Surgeons. 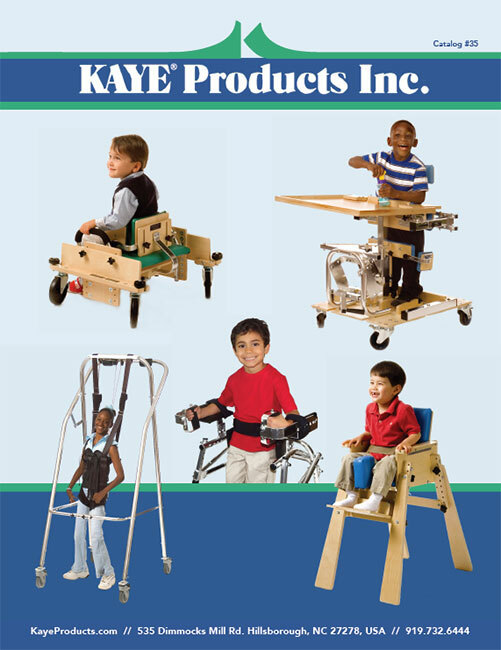 Tamis Wai-mun P. (2007): Effectiveness of static weight-bearing exercises in children with cerebral palsy. Ped. Phys. Ther. 19 (1): 62-73. Bly L. (1999): Baby Treatment Based on NDT Principles. Sand Antonio, TX. Therapy Skill Builders. Creager CC. (1994): Exercises Using the Swiss Ball. Boulder CO. Executive Physical Therapy. Howle J. (2002): Neuro-Developmental Treatment Approach: Theoretical Foundations and Principles of Practice. Laguna Beach, CA. NDTA. Hypes B. (1994): Facilitating Developmental and Sensorimotor Function: Treatment with the Ball. Hugo, CO. PDP Press. Scherzer Al (ed). (2001): Early Diagnosis and Interventional Therapy in Cerebral Palsy. 3rd. ed. NY. Marcel Dekker. Quinton M, Nelson, CA. (2002): Making the Difference with Babies: Concepts and Guidelines for Baby Treatment. Albuquerque, NM. Clinician’s View.